Pensacola, FL – October 26, 2016 – MULTISPORT PERFORMANCE INSTITUTE (MPI) is offering a new multi-day triathlon camp December 2-4 in Galveston, Texas. The Executive Triathlon Training Camp is an intensive technique and strategy-focused weekend that will set athletes up for their best race season in 2017. This camp was developed by Coach Mark Turner for the busy athlete who seeks to be smarter, stronger, and faster with the valuable and limited training time they have. Included in the camp are swim video analysis, run form analysis, and an individual goal setting session. The coached bike ride will include information about self-talk, pacing, focus, nutrition, and hydration. The open water swim session will address techniques for managing anxiety as well as fundamental open water swim skills such as sighting, drafting, and efficient swimming. For the full schedule, go to teammpi.com. Due to the individual and intensive emphasis of the camp, it will not exceed six athletes per coach. Athletes need not bring a large base of fitness or experience, just readiness to swim, bike, run, and learn. Included in the camp is a free (but optional) registration into the Holiday Half Marathon & 5K (your choice) on Sunday morning, December 4th. It’s a great way to train, learn and then race in one weekend! The camp is led by Team MPI’s Coach Mark Turner, of Seabrook, Texas. He is an IRONMAN Certified Coach, USAT Level I Certified Coach, USMS Level I & II Certified Coach, USAT Cat 3 Official, USAT Elite Rules Official, and serves on the coaching staff of Team RWB Austin Triathlon Camp. Coach MarkT is a regular contributor to the USAT Multi-Sport Lab Newsletter. He is a multiple IRONMAN, IRONMAN 70.3, and marathon finisher as well as a US Veteran who served with the United States Marine Corps. Coach MarkT can be reached at markt@teamMPI.com. The Team MPI Executive Triathlon Training Camp welcomes athletes who recognize that work for greater racing achievements in 2017 begins now! For more information and to register, go to teammpi.com. The team of 16 coaches is led by Head Coaches Mark Sortino, USA Triathlon Level III certified coach, race director, and 3x IM World Championship finisher; John Murray, a USA Triathlon Level II certified coach, race director, and ASCA Level 2 coach with 17 years of triathlon experience; and Christine Palmquist, a USA Triathlon Level III certified coach with 13 IRONMAN finishes. All three head coaches have been coaches for Team USA Paratriathlon. 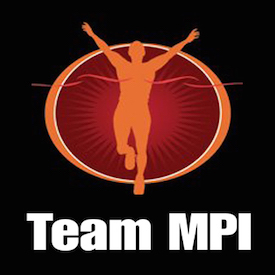 Team MPI produces the popular and successful Portofino Tri Series. They founded the Jubilee Kid’s Triathlon, Sea Turtle Tri, and Maritime DeLuna Du.